Chefs Rob Robinson and Matt Payne of the Bad Bean Baja Grill have a shared mission: make Baja cuisine as delicious and original as possible. The food at Bad Bean proves that their skill and imagination know no limits. After cooking through college and graduating from the University of Georgia, Rob, Owner/Chef of the Bad Bean Baja Grill, traveled to Colorado and Graduated from Johnson and Wales University. He has been recognized by several national publications, including The Washington Post, Sante and Food and Wine Magazine. In 2005, he was invited to prepare dinner at the James Beard House. 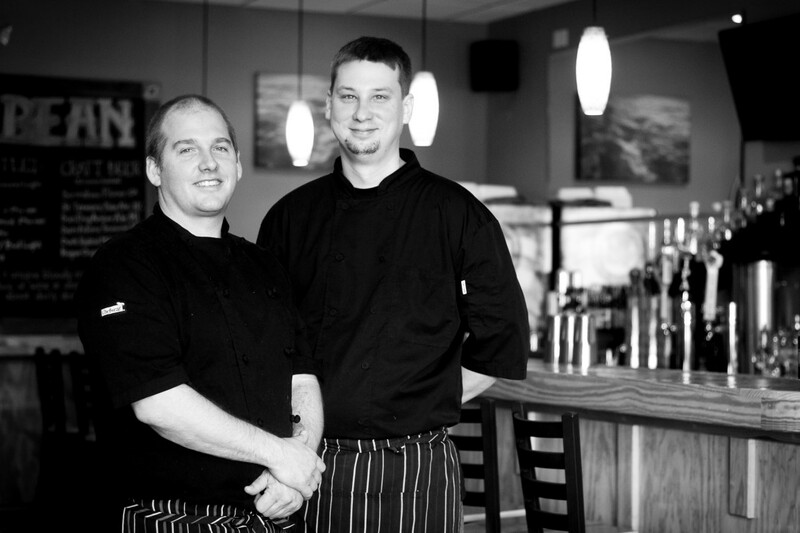 Before coming to the Outer Banks, Rob lived in California and worked under some of the top chefs in the country. He traveled in Baja and Mexico while living there and fell in love with the cuisine. Using those flavors and his years of experience, he created the Bad Bean Taqueria in Corolla, a family-friendly, fast-casual restaurant. Matt, a 2003 graduate of the Culinary Institute of America in Hyde Park, New York, moved to the Outer Banks in 2003. Here he met and worked under Rob at the Left Bank Restaurant, which received Four Diamonds – the only restaurant on the Outer Banks to achieve this. Matt was also sous chef at the Sanderling Resort and worked at the Blue Point in Duck, N.C., before joining the Bad Bean. Wanting to expand from Corolla, Rob set his eyes on a second location. The second location was to be a full-service restaurant, with a full bar and an expanded menu. This is where he asked Matt to join him, and they shared a desire to bring to the Outer Banks a different side to Mexican cuisine. 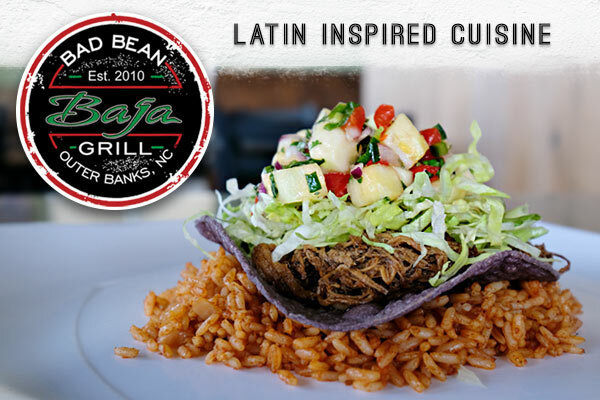 In 2010, the Bad Bean Baja Grill in Kill Devil Hills was born, and in 2016 it became a free-standing restaurant at its current Kitty Hawk location. Matt and Rob have cooked together for over 10 years and constantly challenge one another to find ways to improve the menu and create delicious specials. 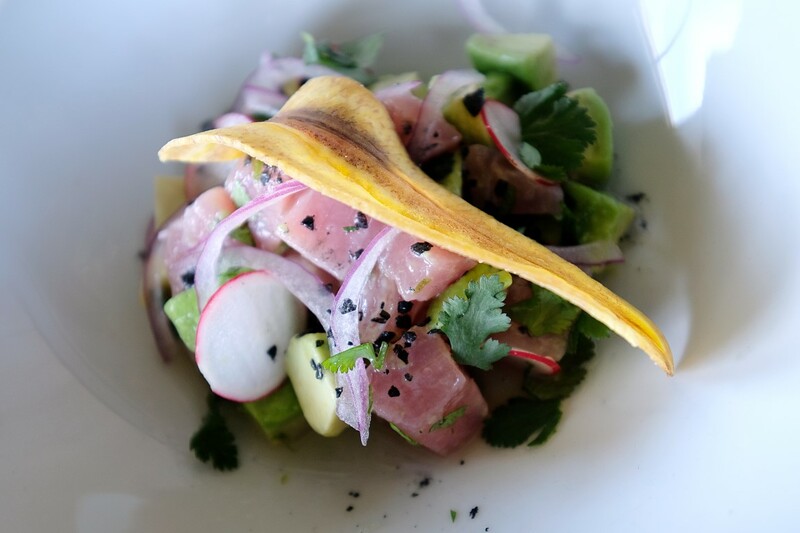 Each day they look for new ways to shake up the scene at the restaurant, whether it’s the local seafood in their dishes, the flavors of that day’s featured margarita or their latest creation on an Outer Banks spin on a Mexican classic. Together they’ve brought home awards at the Outer Banks Taste of the Beach with Chef’s Choice, Local Seafood Dish, and Judges Choice, as well top honors in other local events such as OBX Taco Cook-off, Chowder Cook-off and the March of Dimes Chefs Auction. Their vision to offer chef-driven food made from fresh and sustainably sourced ingredients is brought to life in the familiar-but-approachable fare this restaurant is renowned for.